Speaking at the launch of GetActive! 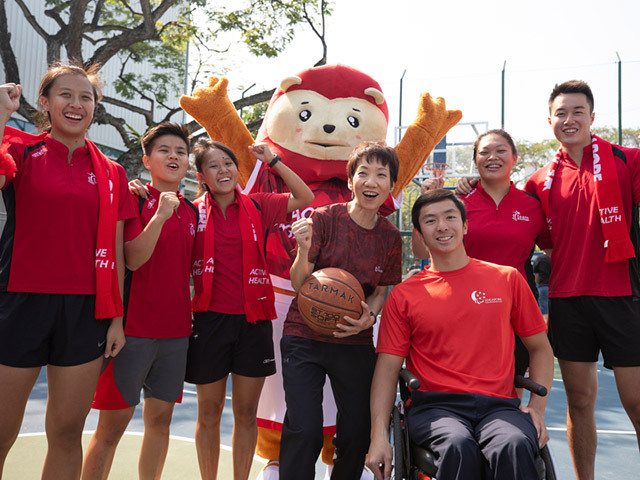 Singapore 2019, Ms Grace Fu, Minister for Culture, Community and Youth, said: "This bicentennial year, we are reminded of how Singapore's sporting heritage reflects our nation’s determination to achieve big goals despite the odds, and how the community rallied together to support one another's sporting dreams. This year, we reprise this spirit of care and encouragement for one another through the many activities organised under the GetActive! Singapore movement..."